I love the bag. The design is fabulous and being eco-friendly is wonderful. I have not yet decided whether to use it for Kismet or for a general purpose bag for my stuff when I’m going out. Might have to get another for the cat! Enjoying my bark n bag…best I have had. 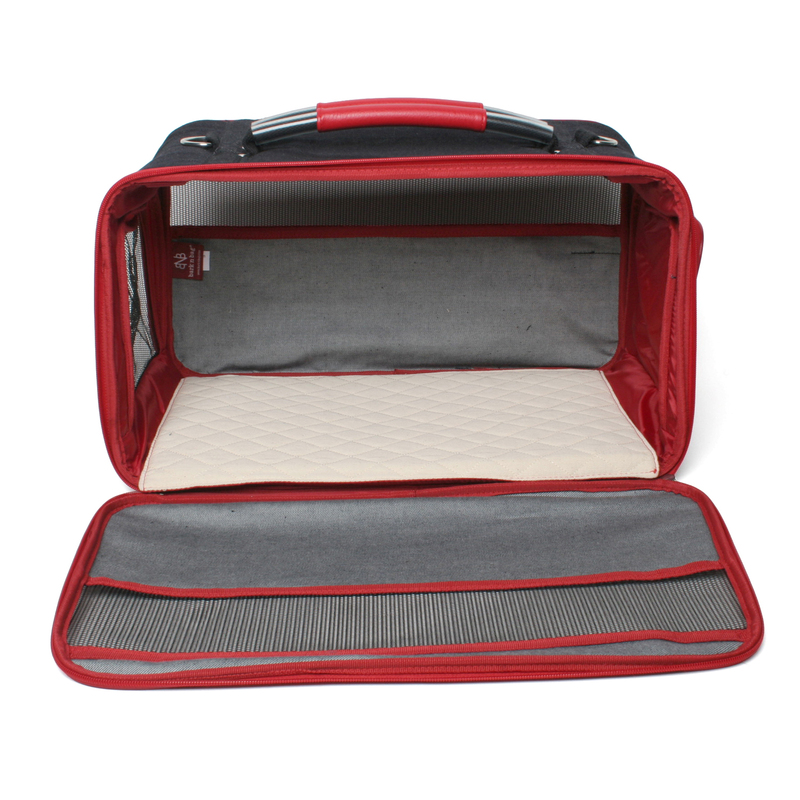 The carrier seems very sturdy and also handsome. I like the idea that the material is organic. 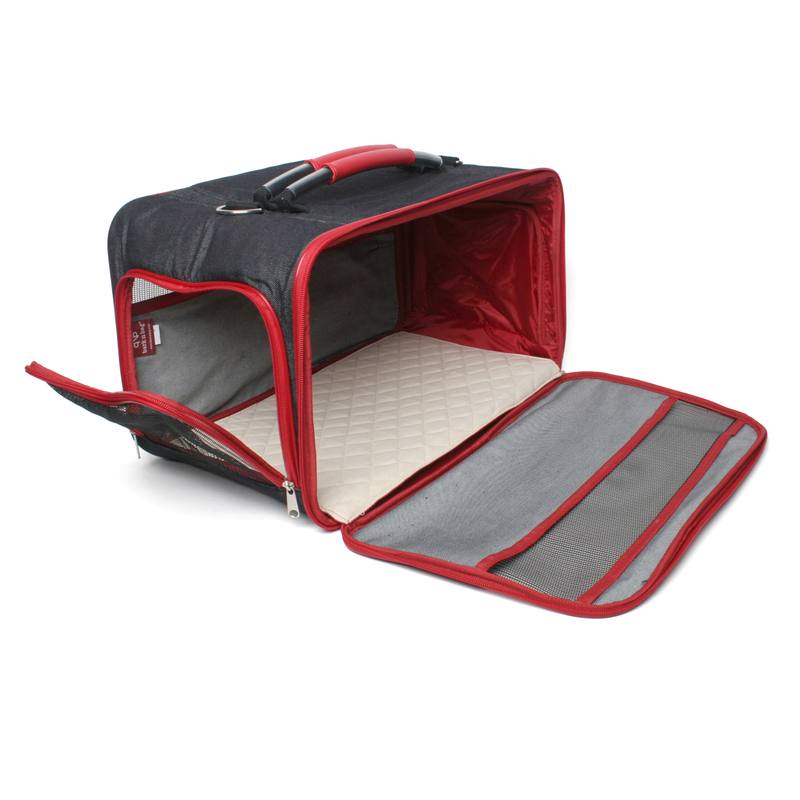 I love this pet tote/carrier! My male dog loved it, too. He immediately got inside it when I unzipped the large side. He turned around and curled up in it. I’m taking him on a 3-4 flight to New Mexico for the holidays (Dec. 24-30). This will be his first flight. I’ve been getting him used to going inside the tote. I zip it up, carry him around in it and take him in the car for a ride while he’s in it. He doesn’t get nervous or want to get out. 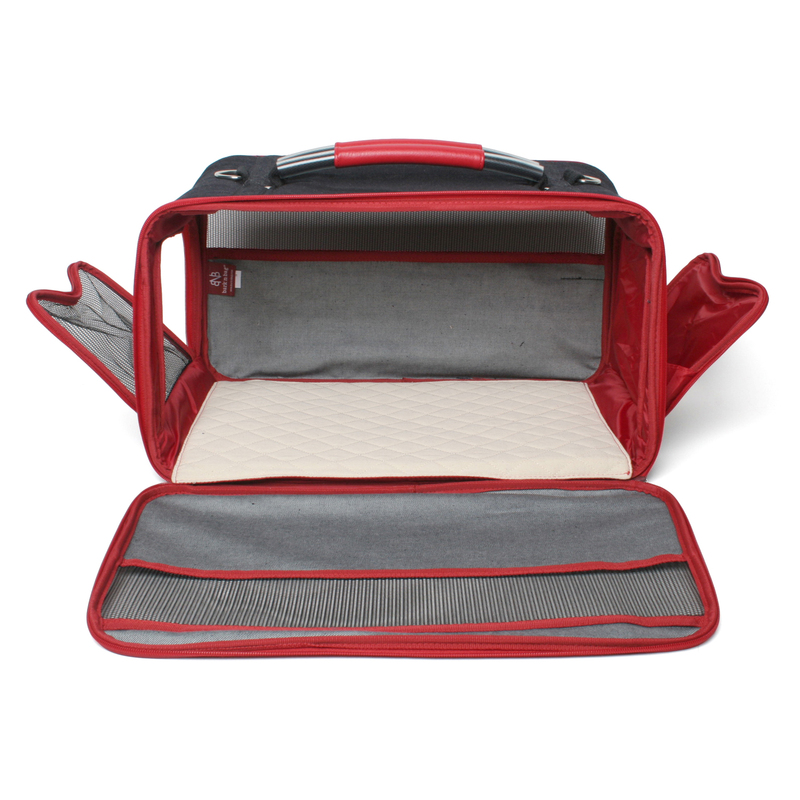 I’m glad it has a washable/removable pad and the velcro side bars to fold down. Also, this bag seems very sturdy and I love the padding on the shoulder strap. This was the perfect choice! Thank you! Just got it today and it looks great and appears to be very well made. 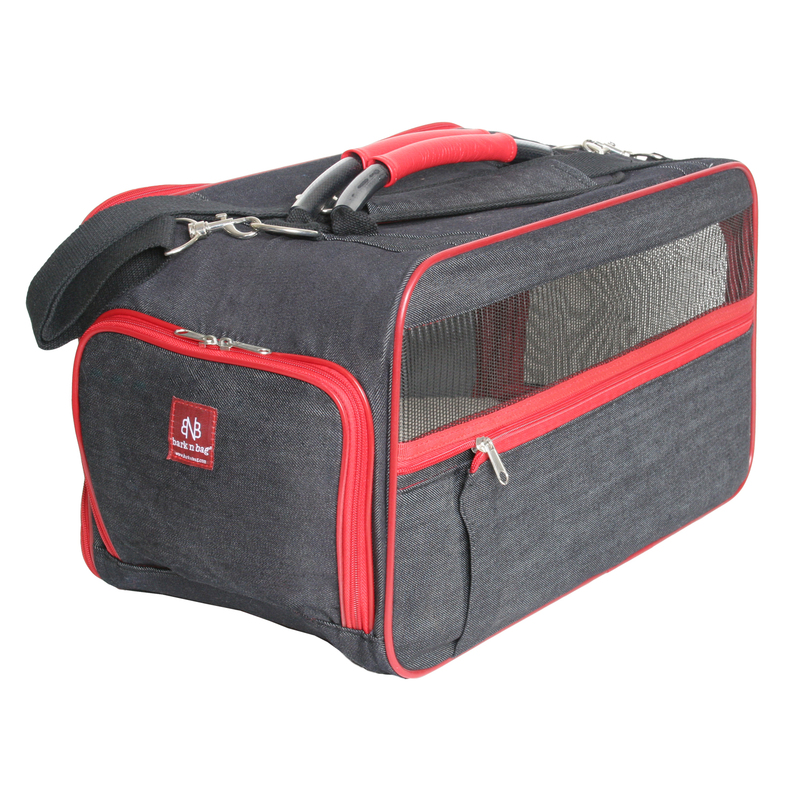 I have 6 cats and am always looking for ways to take them to the vet without added trauma – i love the large side door its less of a battle to get them in the carrier thanks. 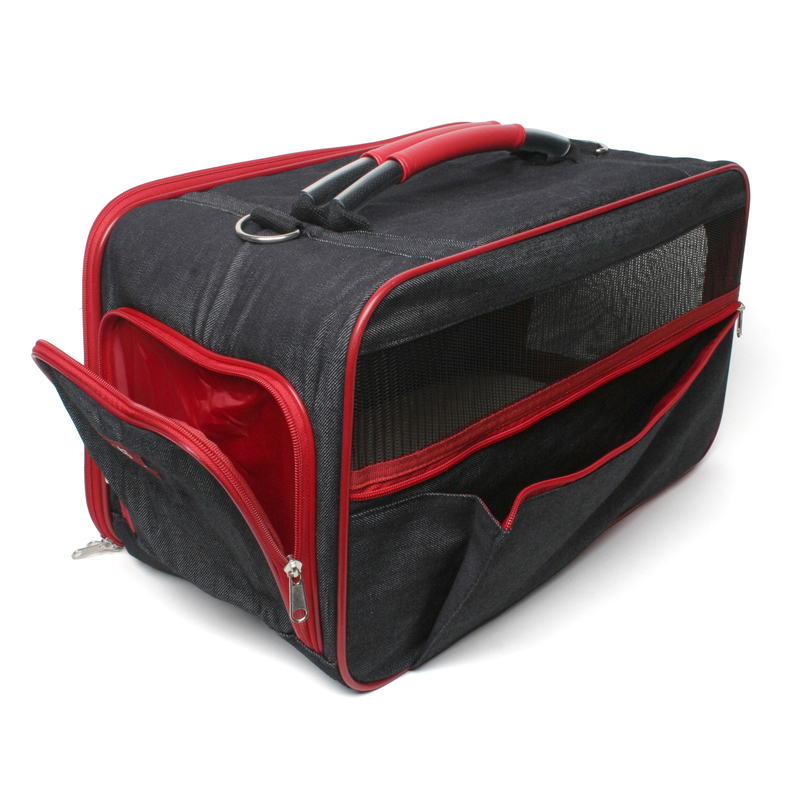 Banjo and i recently flew on jet blue 3 times in one week…he loves his bark n bag! 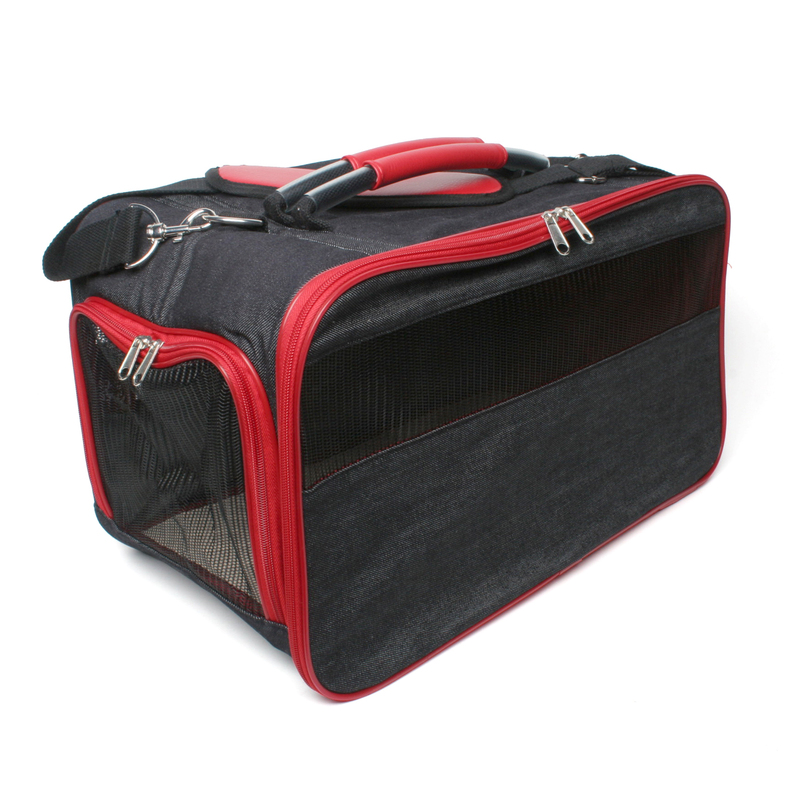 we got so many comments on the bag at the airports and on the plane rides…i would love to send you photos of banjo at JFK, and on the plane rocking his denim B’N’B! I love this bag. It seems very well made, and the minute I put it down, my cat climbed right in.